As one of the world’s largest and most trusted food and drink awards, the Great Taste, organized by the Guild of Fine Food, has been described as the food-world equivalent of the Oscars and the “epicurean equivalent of the Booker prize”. 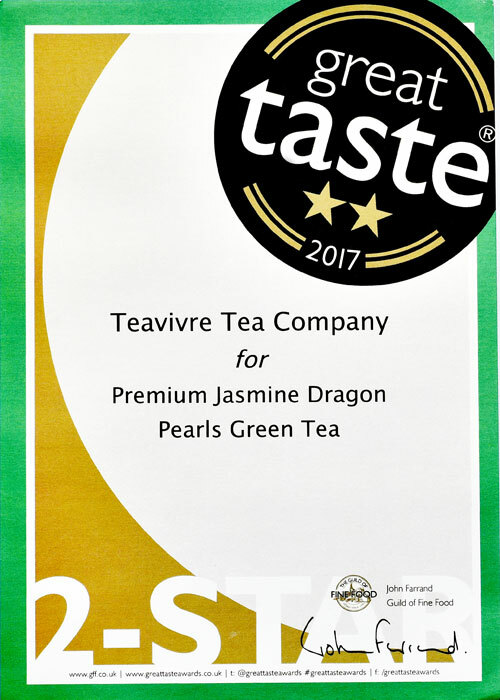 Teavivre is honored to be a part of this prestigious competition and we are ecstatic to announce that our Premium Jasmine Dragon Pearls Green Tea has won 2 Star at the 2017 Great Taste Awards. Jasmine Dragon Pearl green tea is an entirely handcrafted and top-quality green, not only a wonderful drink but an elegant work of art as well. Its production is a long and involved process: the buds and leaves are originally picked in spring, to be dried and then stored and kept cool until the jasmine flowers bloom. These night-blooming flowers are picked early each morning while the petals are still closed. When the flowers do open in early evening, they do so with a popping sound; when this happens the flowers are mixed in with the dried tea and left to sit for around five hours, after which the flowers are removed and the tea is set to carefully dry for a few days. This scenting process is repeated with fresh flowers for a total of six times, in the end producing this amazing tea that, in total, takes over a month to make. One pound of dragon pearl tea will take about four pounds of jasmine flowers during this arduous process. The Wenyang Tea Garden is located in Guanlin Town, Fuding City, between an elevation of 500 and 800 meters. The weather here is warm and humid with abundant rainfall, and this combined with an almost constant fog provides perfect conditions for tea bushes, allowing a rich array of micro-minerals and organic nutrients to accumulate in the leaves. The tea plants growing here are mainly of the Fuding Dahao and Fuding Dabai varieties. Mr. Lin was born in Fuding in Fujian Province and grew up surrounded by tea. His father, grandfather, and great-grandfather before him were all tea farmers; while still in elementary school, Mr. Lin helped pick tea during the seasons when there were not enough workers to help with the harvesting. 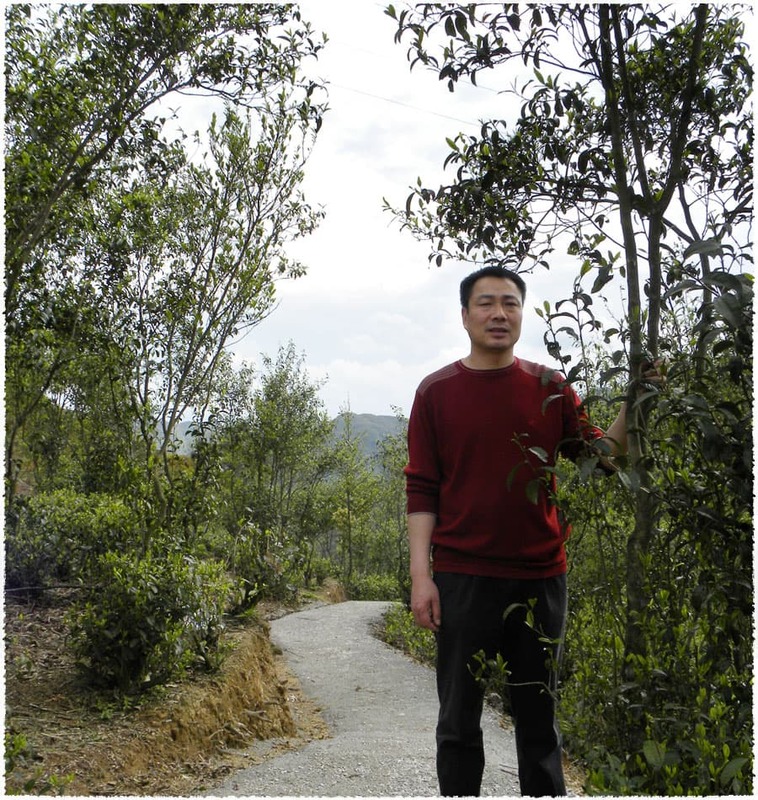 This is when his dream of entering the tea business was first born: Mr. Lin says “My original idea was simply to make a good life for my family through my tea-growing business. In 1993 when my business had gradually developed, however, I changed my mind: from then, I wanted to create a long-term, entirely organic tea business.” Our impression of Mr. Lin was that he was a man of a frank manner who speaks quickly, walks quickly, and works quickly. 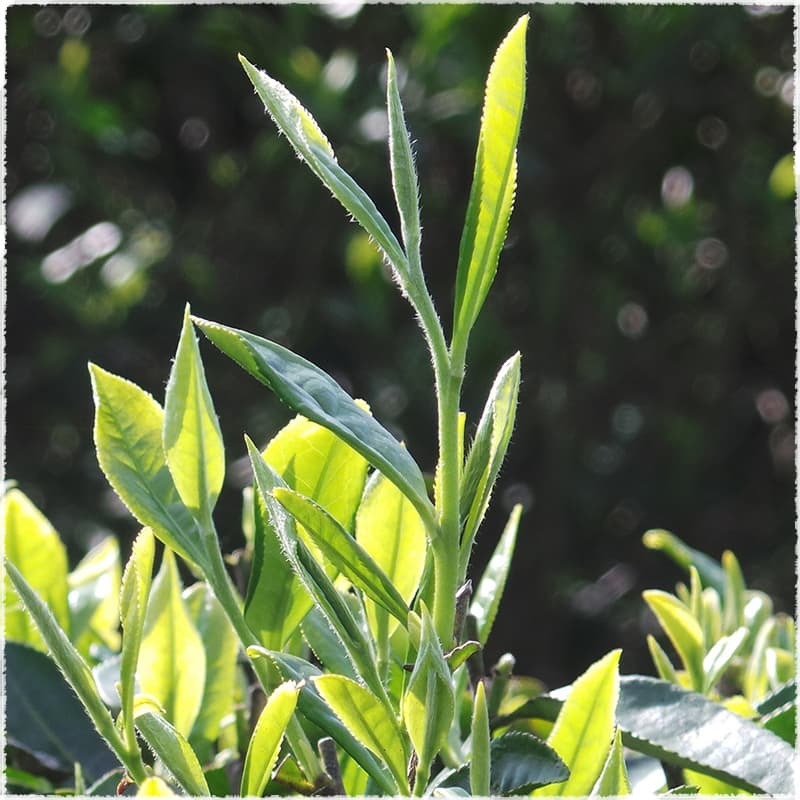 It would not be an exaggeration to say that Lin Jian is one of the founding fathers of modern Chinese white tea. 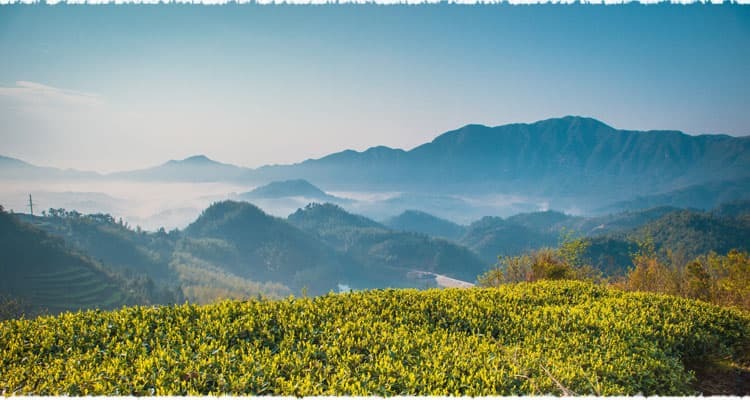 He owns nearly 2800 acres of high-grade tea gardens in Fuding, including a 500 acre organic garden - the first in Fujian that has earned organic certification in the USA, Europe, and Japan. He also owns a 200 acre jasmine garden in Guangxi Province. 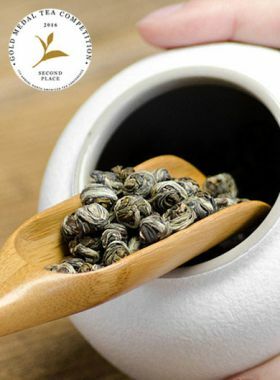 In 2008, his Silver Needle white tea won a gold medal at the annual Chinese White Tea festival in Beijing. This Jasmine Dragon Pearls Green Tea is produced in Fuding, a famous tea production region located in the northeastern area of the Fujian Province. 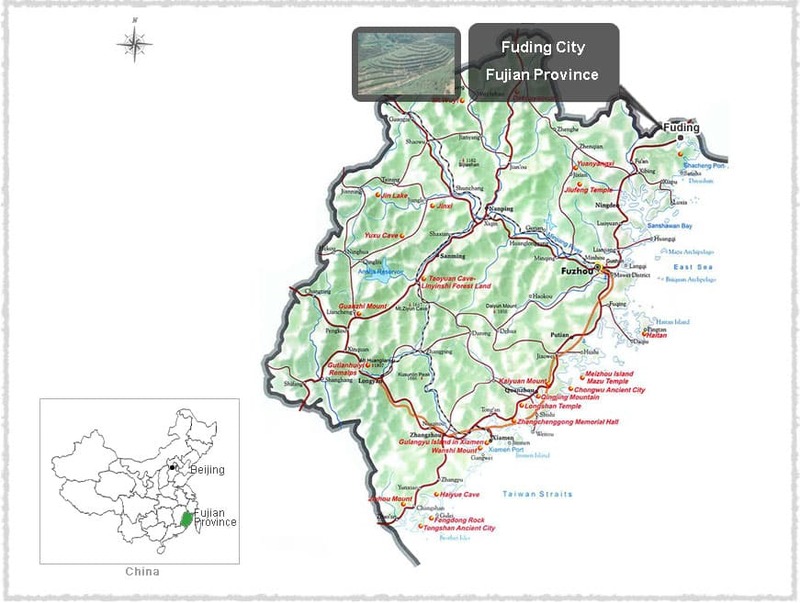 Fuding maintains a subtropical monsoon climate, characteristic of coastal areas: it has an average annual sunshine total of about 1840 hours, an average annual temperature of 18.5°C, and an average annual precipitation of 1661.6mm. The jasmine in this tea comes from Guangxi Province, and has earned nationwide recognition. The most outstanding production area is Hengxian in this province, known as “the city of Chinese jasmine” due to its large planting area and capability of producing jasmine of both high yield and high quality. 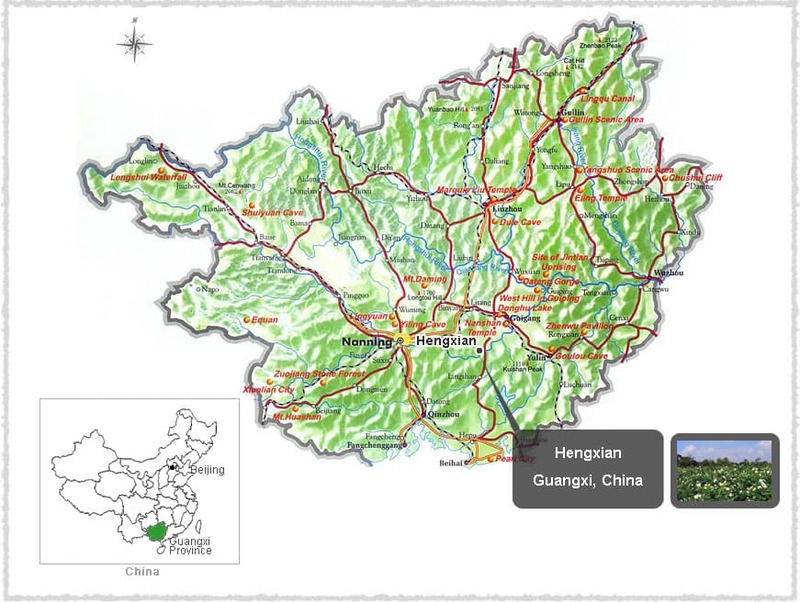 In the southeastern region of Guangxi Province, Hengxian covers a total area of 3464 square km. This Jasmine Dragon Pearls Green Tea is made from the leaves of the Fuding Dahao tea plant. It propagates asexually and looks like a small tree, growing up to 2.8m high with a thick trunk. In 1985 it was certified as a national tea plant, variety number GS13002-1985. This is a spring tea, containing 1.8% amino acids and 28.2% tea polyphenols, and its leaves are used to make high-quality green and white teas.